This week’s SATURDAY SIX takes a look at Six Reasons We Loved the 2014 Mickey’s Not-So-Scary Halloween Party. A few weeks ago we covered Villains Unleashed at Disney’s Hollywood Studios and came away with more questions than answers for the future of that party. Now we are in Halloween season, and that leads us to another hard ticket event focusing on Disney’s “bad guys,” Mickey’s Not-So-Scary Halloween Party (MNSSHP) at the Magic Kingdom. Personally, I think this is the highlight of the Walt Disney World year with guests getting the best bang for their buck. The lines for attractions throughout the park are short or nonexistent, lesser seen characters are out for meet ‘n greets (such as Tarzan and Jane), the Dapper Dans get converted over to the Cadaver Dans, and you get to see a wide variety of costumes worn by guests (with several being almost Disney-level in terms of costuming). 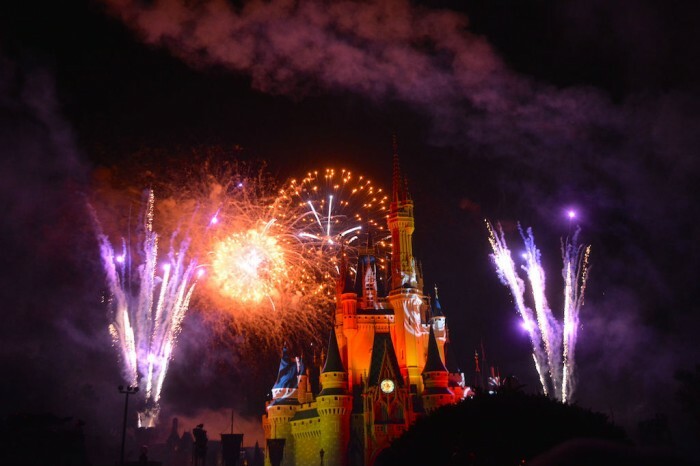 The $64,000 question for most people is simple: is MNSSHP worth the price tag of $62-$71 per person? I think so, and here are six more reasons why…. 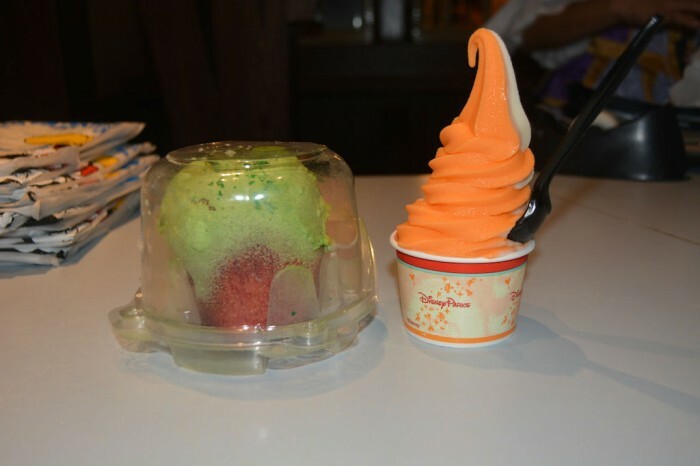 Poison Apple and Candy Corn soft serve ice cream from Storybook Treats. MNSSHP has always had a couple interesting food and beverage items exclusive to the party, including the mouth watering pumpkin spiced waffle sundae that made its debut at last year’s party. This year Disney has gone all out with a whole bunch of new treats throughout the park that are available only during MNSSHP nights, including at sit down locations such as Be Our Guest and Tony’s Town Square Restaurant. We were looking forward to the candy corn soft serve ice cream available at Storybook Treats, and it did not disappoint, especially with a bunch of candy corn at the bottom of the cup. There was also candy corn cotton candy, which was not as successful. Almost everywhere you turned there was a new treat or drink, including ghost cupcakes at Gaston’s Tavern, candy corn cupcakes at the Main Street Bakery, and a “Buggy Brew” at the Friar’s Nook, which looked like someone went to Diagon Alley and brought back a bunch of Fishy Green Ales. A major thumbs up overall for the variety of items, and let’s hope this trend continues at the upcoming Christmas party in a few weeks. Note: for table service restaurants such as Tony’s Town Square Restaurant, MNSSHP-goers should try to get a reservation between 4:00 and 5:00 PM. MNSSHP allows guests to enter the Magic Kingdom starting at 4:00, even though the party doesn’t officially start until 7:00. Sit down restaurants such as Be Our Guest and Tony’s generally stop taking reservations at 7:00, leaving only the quick service locations once the party begins. Candy Corn flavored Cotton Candy. 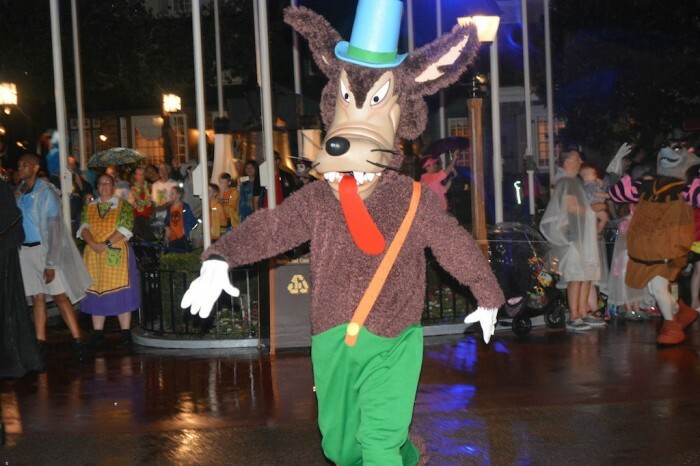 While I am not a big fan of dance parties, they are here to stay in the theme park world, and Disney offered two unique opportunities at MNSSHP. 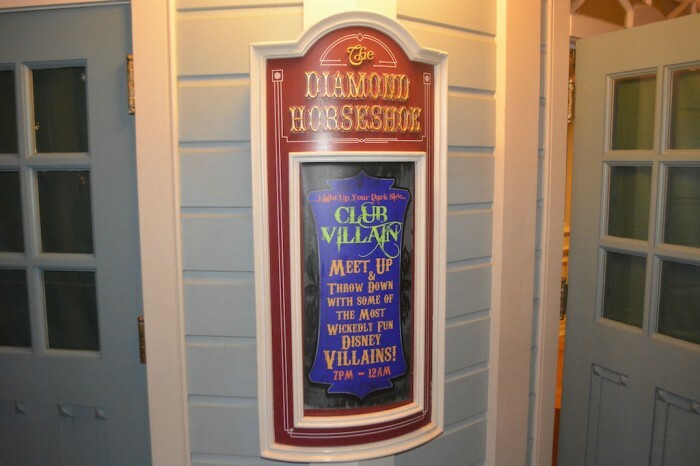 The first party took place inside the Diamond Horseshoe as the venue was renamed Club Villain. While the outside had very little change, inside there was a bunch of artistic, almost graffiti-like drawings of several villains that really popped when under black light. They were stunning. There was also a DJ on the stage playing music as various villains such as Cruella de Vil (101 Dalmatians), Governor Ratcliffe (Pocahontas), and Lady Tremaine (Cinderella) mingled among the crowd. 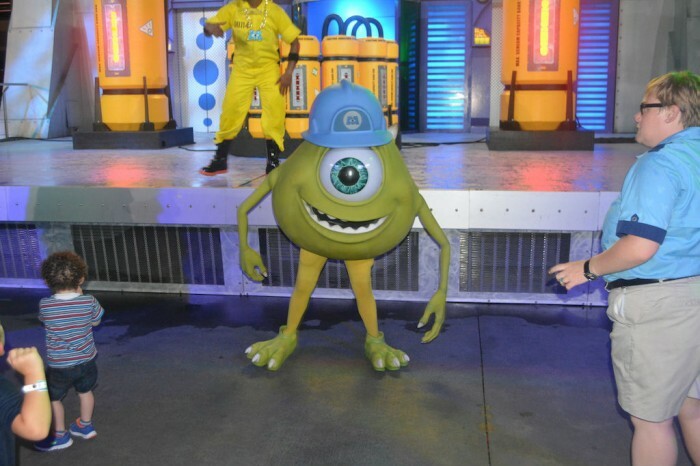 Meanwhile over in Tomorrowland there was the Monstrous Scream-O-Ween Ball featuring Monsters, Inc.‘s Sully and Mike Wazowski. There weren’t as many frills with this one: just a DJ on a stage with the two Monsters dancing. But this dance party definitely connected with the younger set. Boo and some of the other monsters from the franchise also made appearances throughout the night in this area. Mike Wazowski at the Monstrous Scream-O-Ween Ball in Tomorrowland. Avast yae scurvy pirates, set sail to eBay! Once again, Disney delivered a new Sorcerers of the Magic Kingdom card for MNSSHP. 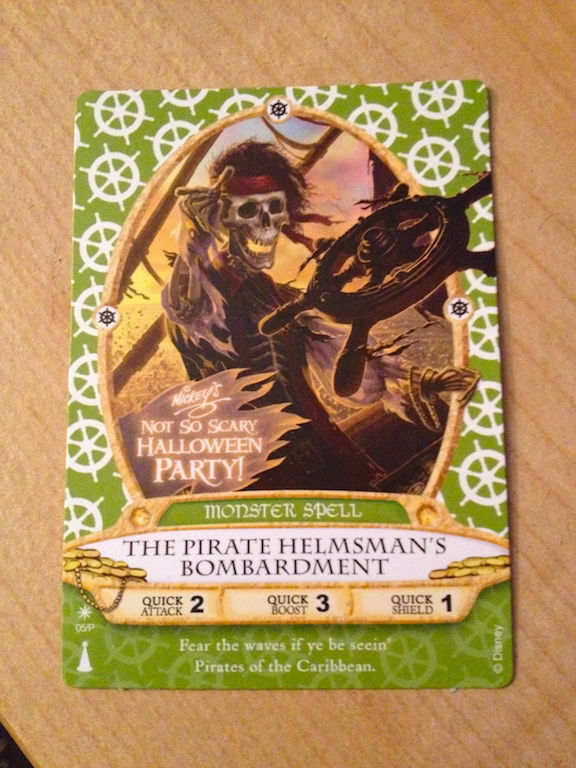 2012 brought us a Chip & Dale card, last year was the Hitchhiking Ghosts, and this year was one based on Pirates of the Caribbean. What I find fantastic about these cards is the fact that not only are they a unique option for people who enjoy playing the game, but they are a fun souvenir for everyone else and one that you can’t buy at any store. 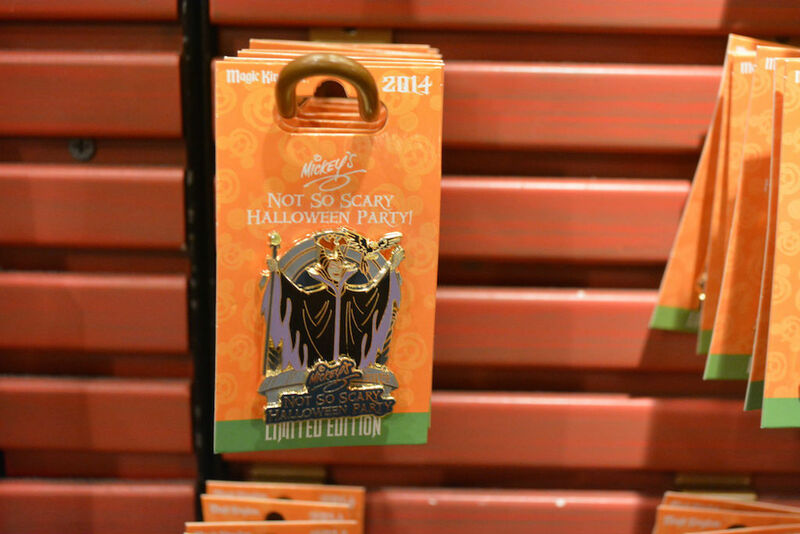 Speaking of souvenirs, one area MNSSHP can improve on is the exclusive merchandise available during the party. 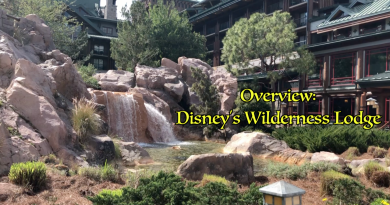 For the most part everything seemed generic, a stark contrast to, say, Star Wars Weekends, which always debuts several items that fans want to gobble up. Instead of a MNSSHP-themed MagicBand, how about making Magic Bandits featuring the Hitchhiking Ghosts? Instead of one t-shirt design, how about limited edition ones focusing on the Headless Horseman or the Cadaver Dans? 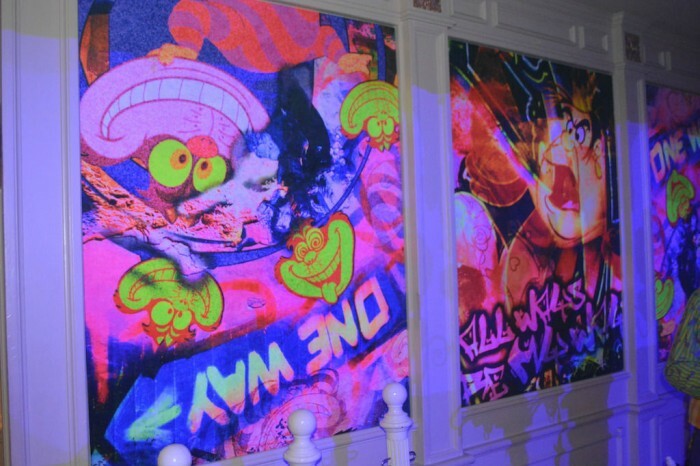 They could have made limited edition prints of the artwork that was hanging in Club Villain. Universal put out two new Uni-Minis for its Halloween event this year; how about a MNSSHP vinylmation? There are lots of options for the future, but I would be shocked if I don’t see many of the items from this year’s party show up at the Outlet Stores. There’s just no compelling reason to buy any of them. Malefiecent limited edition pin at MNSSHP. 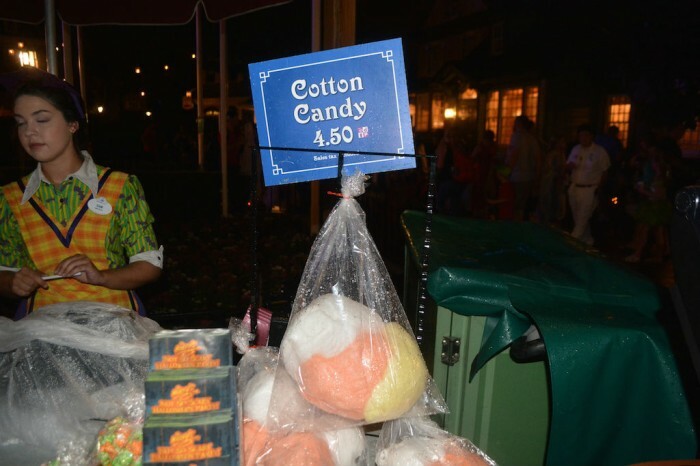 I understand that it’s illogical to put out the money it costs to go to a hard ticket event like MNSSHP and spend your time waiting in line for candy that you can buy much cheaper at any CVS, Walmart, or Publix near you. It doesn’t make any sense. I agree 100%. That said, hitting the various candy stops throughout the Magic Kingdom is just plain fun. In the real world, going trick or treating is one of the biggest highlights of a kid’s year, right up there with Christmas morning and the last day of school in the summer. 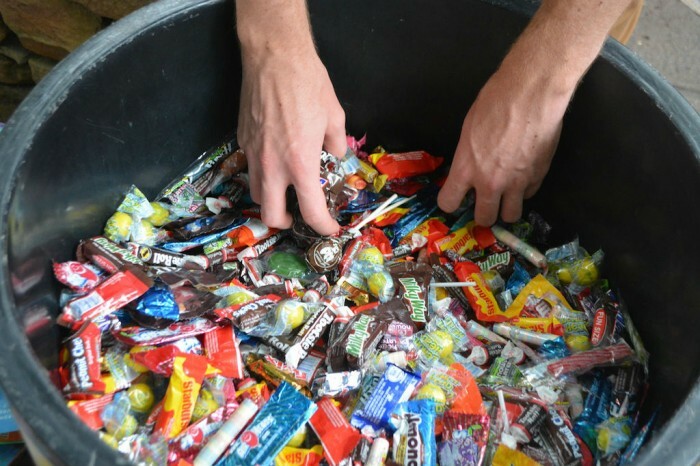 Having to give up trick or treating when becoming an adult is a tough loss, but MNSSHP gives us a little reminder of how great it was to come home and pick through your candy, separating the good stuff like Kit Kats and Snickers from worthless treats like Smarties and generic green lollipops. It allows you for the briefest of moments to be a kid again. T0 paraphrase the movie Step Brothers, don’t ever forget how to be a dinosaur. 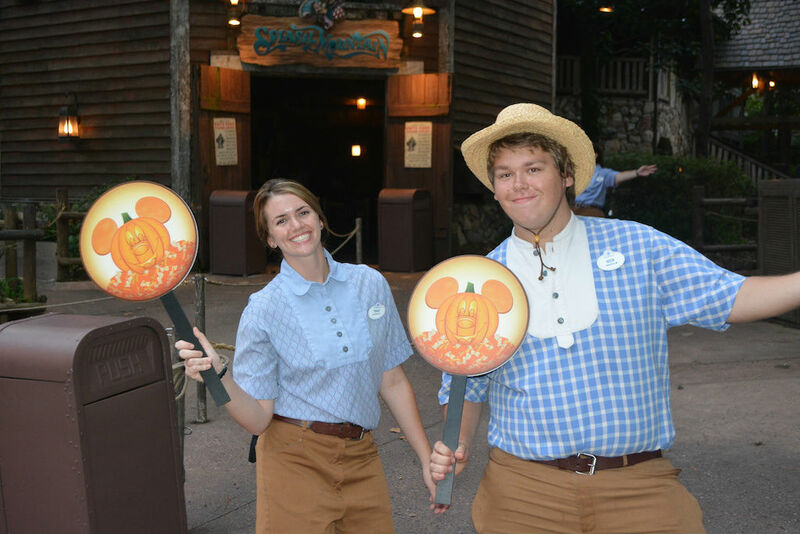 While I am waxing nostalgic, I would also like to point out that the Cast Members across the board during MNSSHP are the best you can encounter inside a theme park. Maybe it’s because they get to do something different compared to their normal day at work. Or maybe the MNSSHP crowd itself – with little kids dressed up as Peter Pan and Wendy – aren’t sucking away their life force like a day guest complaining about FastPass+. Or perhaps it’s just that I consume so much sugar during the party that it alters my entire DNA, but everyone seems nicer and more helpful. I have nothing but the highest compliments for every CM I have ever encountered at MNSSHP. 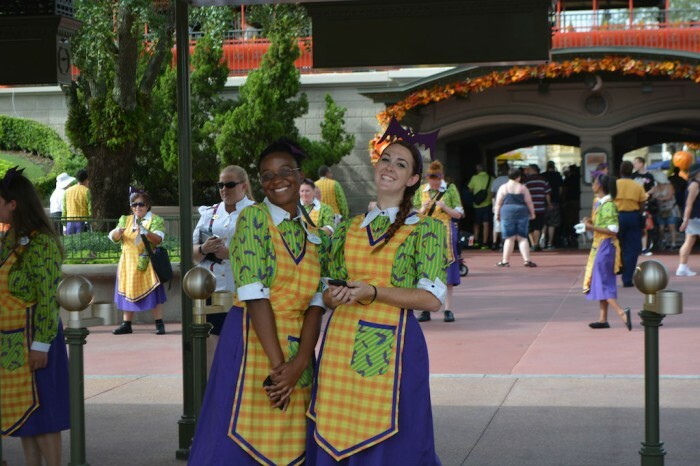 Three cheers for the MNSSHP Cast Members. No one can outdo Disney when it comes to parades, and Mickey’s Boo-to-You Halloween Parade is, in my mind, the best one going today. This is helped in large part by having one of the catchiest soundtracks of any Disney attraction, parade or otherwise. 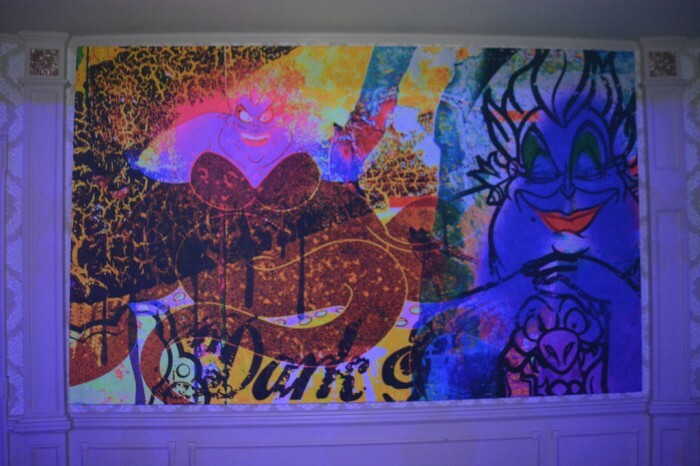 Guests will find themselves singing or humming the “Boo-to-You” song for days and weeks after the party. The parade starts off with a bang, as the Headless Horsemen makes his way by to start, and this is followed by a cavalcade of all the major Disney characters. 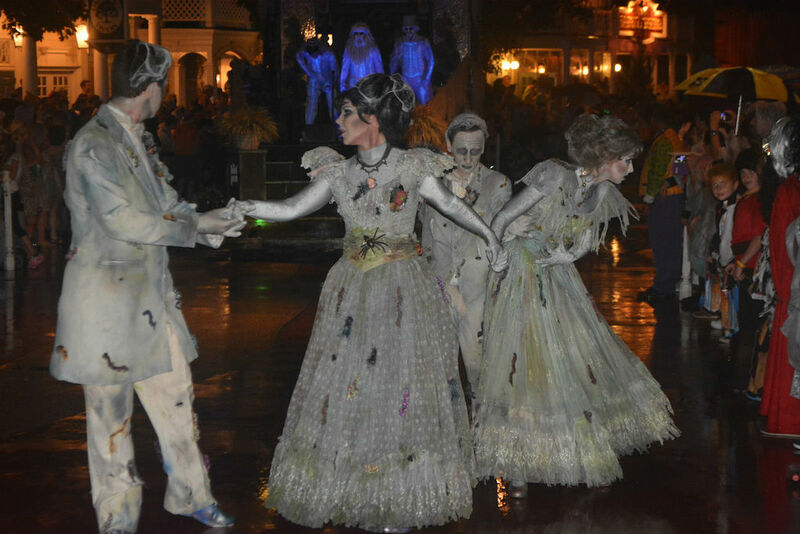 Where the parade takes it up a notch is the segment based around the Haunted Mansion. The caretaker and his dog, the gravediggers using their shovels to create sparks on the pavement, the creepy ghost dancers…. this is the only part of the entire night that inches above a “G” rating, and it is spectacular. The ghostly ballroom dancers in Mickey’s Boo To You! parade. New this year were Wreck It Ralph and Vanellope von Schweetz from the Wreck It Ralph film. The pair had a rather large reaction from the crowd the night I went, which I found surprising and uplifting as I would love to see more Wreck It Ralph in the parks. 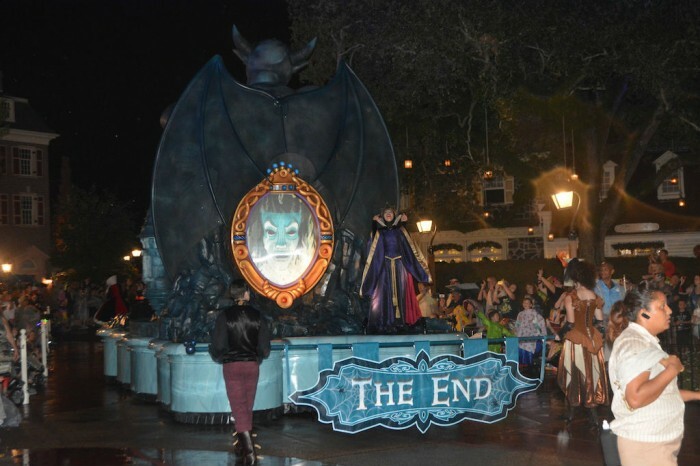 The parade closes out with a whole bunch of Disney villains including the hyenas from Lion King, Bowler Hat Guy from Meet the Robinsons, Judge Claude Frollo from the Hunchback of Notre Dame, and more. I’m not a parade guy at all, but B00-to-You is the one parade for which I make sure I line up early. 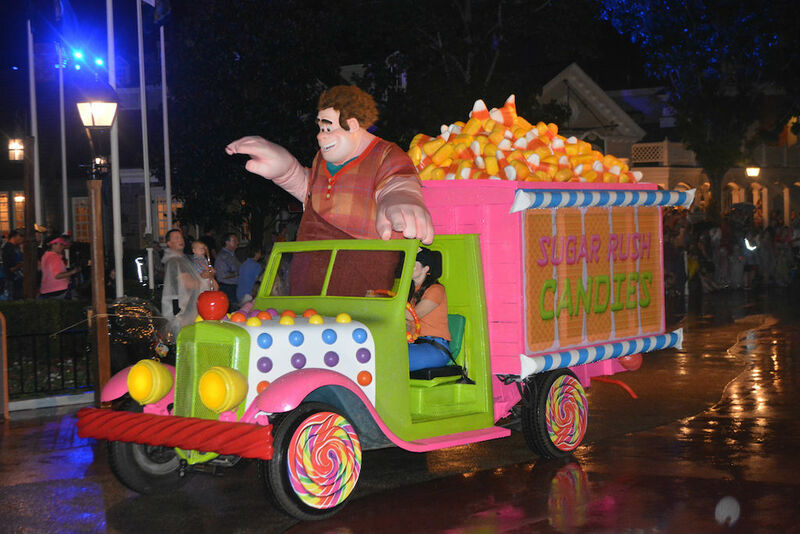 Wreck It Ralph in Mickey’s Boo To You! parade. 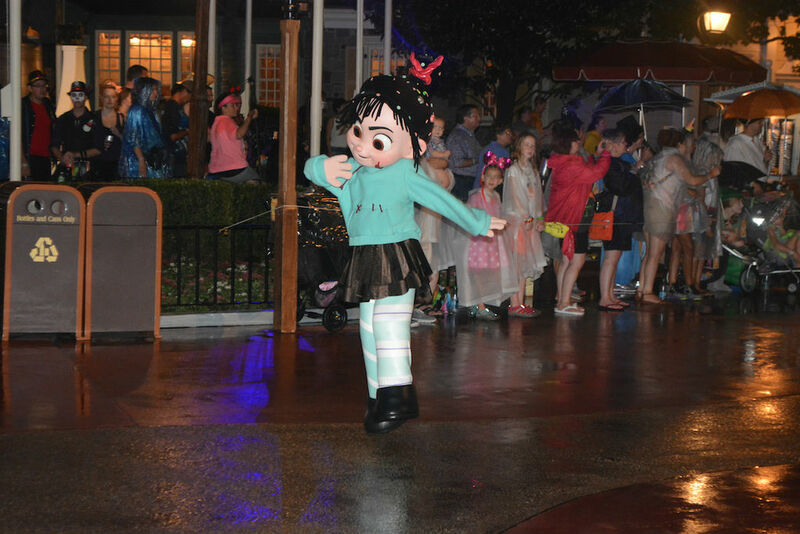 Vanellope von Schweetz at Mickey’s Boo To You! parade. The Haunted Mansion’s Ghost Host narrates Happy HalloWishes in what is pound for pound the best nighttime spectacular on property. 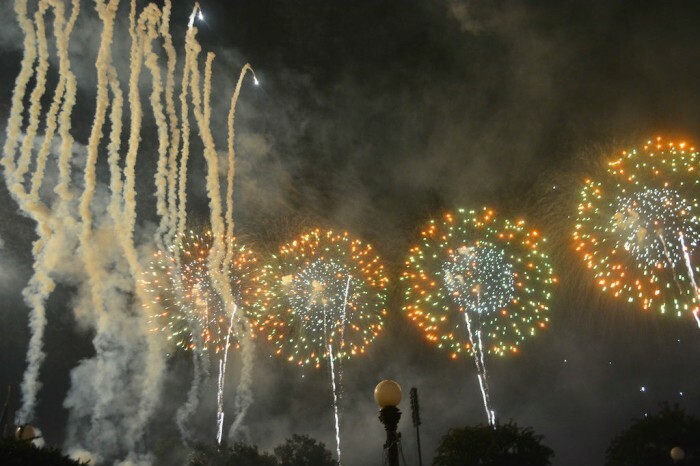 You have a great soundtrack based around the Disney villains and an amazing fireworks display that includes the all-too-rare perimeter fireworks (which need to be seen to be believed). I had a nice surprise later in the same week as I returned for a dinner at ‘Ohana and found out that during MNSSHP they will dim the lights of the restaurant and play the B00-to-You soundtrack as guests watch the fireworks out the windows. That’s as close as I have ever come to a perfect meal. 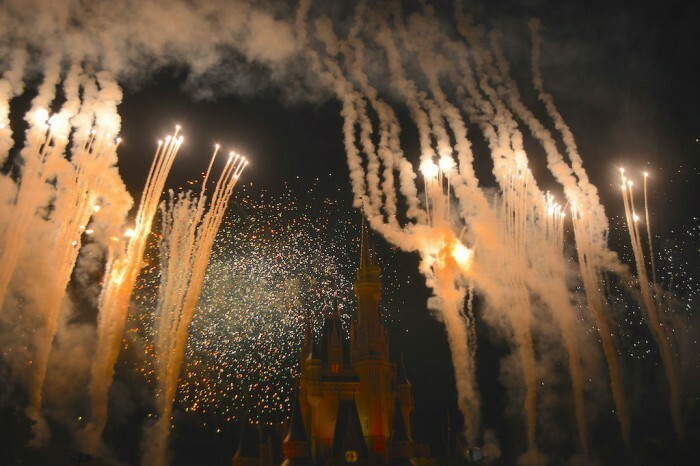 Perimeter fireworks during Happy HalloWishes. Before we go, here’s a brief look at what didn’t make the cut for this article…. Before the actual Boo-to-You parade starts, there is an awkward moment where Phineas and Ferb come out with a collection of dancers called the Creepa Crew (I swear that I am not making any of this up). 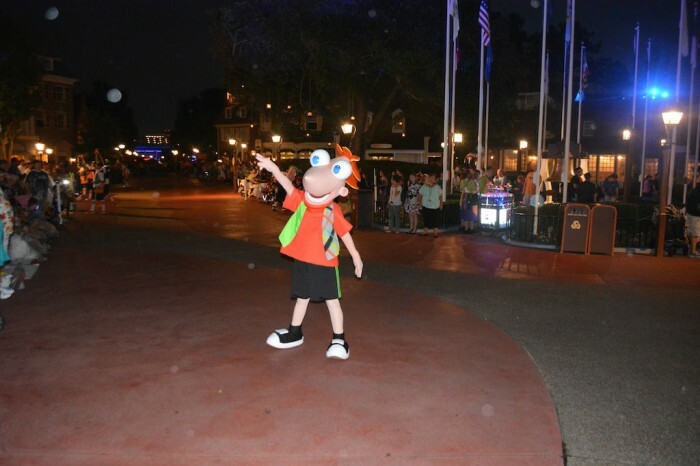 So there you have it: Six Reasons We Loved the 2014 Mickey’s Not-So-Scary Halloween Party. See you next weekend for the latest edition of the SATURDAY SIX, where we are going across the street to the other Halloween event in town, Universal’s Halloween Horror Nights. If you had fun, be sure to check out The Magic, The Memories, and Merch! articles, or, for your listening pleasure, check out Pardon the Pixie Dust podcast. Special thanks to crack staff photographer Brandon Glover for his invaluable assistance in this article. Is Be Our Guest open during the party? I couldn’t score reservations and I’m kinda tempted to try it if it’s open. I need to clarify that one. Its during party nights and I don’t think the sit-down restaurants take ADRs past 7PM. Is that Poison Apple a cupcake or an apple? It is an apple. I am a huge fan of Disney’s Gourmet Apples, and found this one underwhelming compared to offerings in say, Big Top Treats in Storybook Circus. It did look pretty cool though. 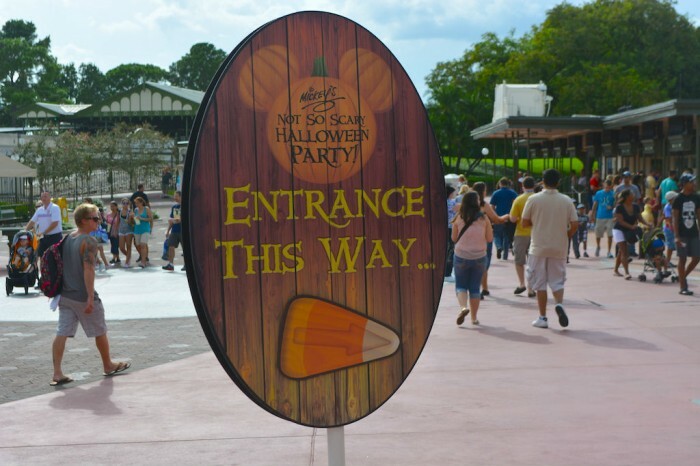 I am all over that candy corn soft ice cream when I am at the party Hallowen night….want one now..yum! While The fireworks are awesome, I contend that it’s not a primary reason to actually pay to get into the MNSSHP. What is that eye ball thing??!! Lol. I wish I could attend MNSSHP. Do you guys think the WDW or the DL version is better? I love it! What a neat idea for a dessert, especially given the Italian theme of Tony’s, and the idea of the curse of the “malocchio”, or evil eye, is fairly prevalent in Italy. I found the whole event incredibly underwhelming and not worth the extra cost for admission. I found the atmosphere lacking. In this case, Universal does Halloween better. MNSSHP just does not disappoint. We went on 9/1 (the first night) and we had a blast. The best hard ticket event without a doubt. Most fun I have ever had at Disney! 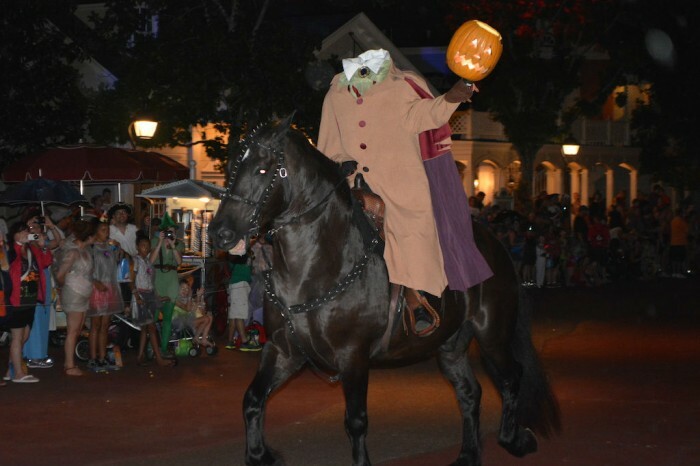 Is the headless horseman still a part of the parade? i attended on Sept. 26 and watched the later parade and the headless horseman was not there. He was there the day we went and others I know who went on other dates in September saw him as well.